This week saw the start of the next stage of consultation on the Alton Estate regeneration. I’ve not written as much about the work of the council in improving the Alton estate in Roehampton as I have about the Winstanley and York Road work, possibly because of my proximity to the latter, possibly because the Alton programme is, to my mind, more subtle. It isn’t the first time the council has tried to tackle the Alton. Though it’s the first time in my memory that we seem to have the support to see it through. It was interesting after the last Roehampton Partnership meeting talking to members who suggested they had felt a change: the partnership felt more positive, more professional even, and progress was being made. Pride may come before a fall (and I recognise we’re approaching a rather febrile election season) but there are reasons to be optimistic. But why are the plans for the Alton more subtle than for the Winstanley and York Road programme? 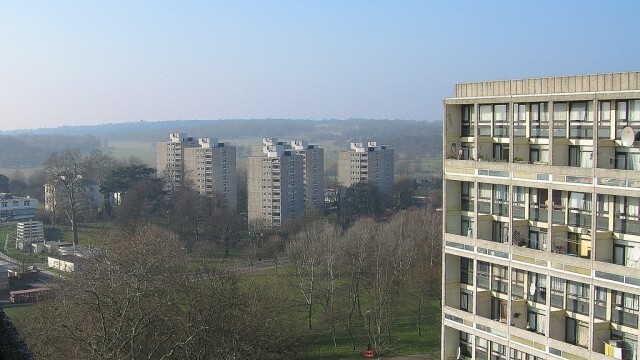 To answer, you have to look at the Alton estate’s conception. It’s easy to look at council estates and assume they are, somehow, automatically dysfunctional. The original plans for the Alton, however, came some way towards the post-war Utopian vision for social housing. Modern architecture in a park setting: the blocks looking and feeling very much like they in an extended Richmond Park. Viewing the original plans, and hearing the original architect’s vision, I found myself finally understanding why so many long-term residents could speak of the jealousy they encountered from those who were not allocated housing there. Indeed, I had some of that jealousy myself. Unfortunately the subsequent development took most of the shine off the estate. Later additions were, frankly, done on the cheap. They re-used designs from elsewhere, and built what could fit, rather than what should fit. The masterplan option on which we are about to consult moves us back towards that vision, at the junction of Danebury Avenue and Roehampton Lane there will be new buildings that properly frame the estate’s gateway, the area behind providing new, higher quality homes that face the right way rather than having gardens on the road, Portswood Place will be revitalised to create new centre and through it all a central park will provide an attractive link into Richmond Park, creating attractive views and pathways. And the subtlety? A lot of the buildings remain exactly as they are. The road layout will be unchanged. This is not like the Winstanley and York Road scheme that proposes a lot of demolition in the York Road Estate. It cannot be seen as purely physical regeneration. It cannot be viewed just as shiny new buildlings, though there are some, but instead should invite you to imagine a new relationship with the area: from a new park area to enjoy, new shops providing not only retail, but employment and vibrancy, and new facilities for services and recreation. Fundamentally, it recognises that a lot of the original estate is good, it just needs the setting to make it work. The consultation is just another stage of an evolving process, but the master planning exercise is drawing to a close and reflects a lot of the feedback that has been received. I think they are incredibly exciting and promising, and hope those responding to the consultation think the same.